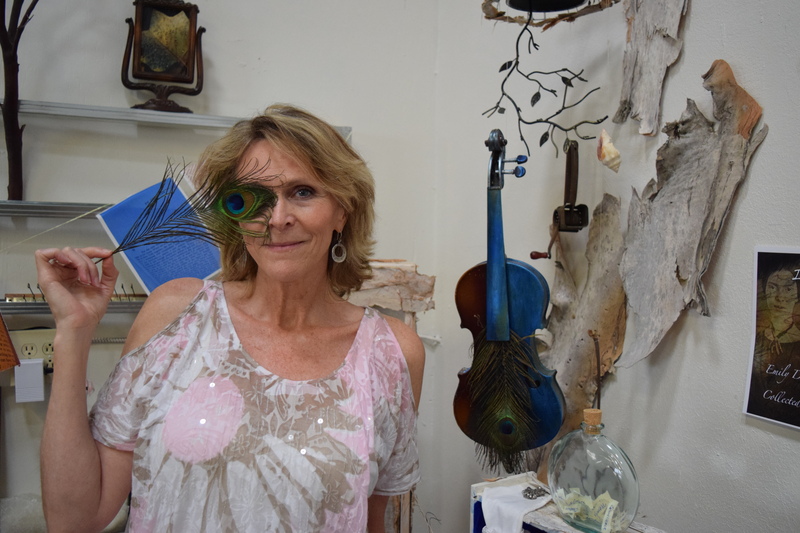 “Writers in Search of the Sacred” is a multimedia exhibition by Cie Gumucio (yes, that’s her behind the peacock feather), and the artist is in attendance this evening (Thursday) during the reception from 6 to 9 p.m. at Michael Stearns Studio 347, located at 347 W. Seventh St., San Pedro. Photo by Bondo Wyszpolski. 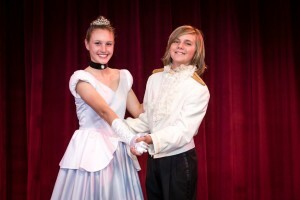 Mary Taylor is Cinderella and Ryan Dugdale is Prince Charming (listen, fella, don’t let it go to your head) in the Junior Choir of Manhattan Beach Community Church production of “Cinderella.” Performances Friday through Sunday. Call (310) 819-5066 or email spungirl2@hotmail.com. The second annual “L.A. 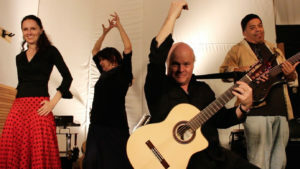 Tango Marathon,” also known as “The Endless Summer Tango,” begins today (there’s a 6 to 9 p.m. event at Dockweiler Beach in El Segundo) and continues through Sunday, but essentially brings tango dancers from all over the country to Los Angeles. Events also take place in Manhattan Beach and Playa del Rey. Over 30 hours of dancing, so rest your feet. Information at LATangoMarathon.com. The opening reception for “Scraps: An Anthology of Costa’s 2015 AP Studio Art Pieces” is Friday from 5 to 7 p.m. This work is by student Michael Wu. Contact Kmartin@mbusd.org. 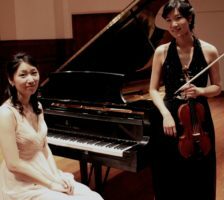 Pianist Esther Lee and violinist Joanna Lee perform Friday at 12:15 p.m. in the First Lutheran Church of Torrance, 2900 W. Carson St., Torrance. Free; donations appreciated. Call (310) 316-5574. “Ego Sum Grati” is Erika Snow Robinson’s first solo show, and it’s on view at Back in Action Chiropractic, 25200 Crenshaw Blvd., Suite 101, Torrance (located in the Airport Office Plaza). New and older work is featured. 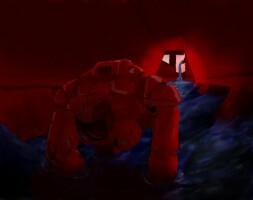 Go to redondbeachartist.com, call (310) 325-2500, or check out backinactiontorrance.com. That’s why it’s called “Scraps,” right? Also billed as “An Anthology of Costa’s 2015 AP Studio Art Pieces,” this student art show features Mira Costa High School artists and, better yet, there’s a reception from 5 to 7 p.m. on campus, located at 1401 Artesia Blvd., Manhattan Beach. Information, contact Kate Martin at kmartin@mbusd.org. “Cinderella” is being performed in the Manhattan Beach Community Church in a production by the Junior Choir. It’s the sixth time the MBCC choir has done the show, and it’s a winner every time! Friday and Saturday at 7:30 and Sunday afternoon at 2 p.m. Where? 303 S. Peck Ave., Manhattan Beach. Tickets, $10. Call Karen Dutcher at (310) 819-5066 or flood her inbox at spungirl@hotmail.com. The second annual Movies on the Boardwalk screens at dusk (around 8 p.m.) at 500 Fisherman’s Pier, Redondo Beach. The film (unlisted at press time) is free and online information should be available at redondopier.com. Earlier this week, however, the site had been hacked into by Islamic State supporters. Additional films are planned for June 12, 19, and 26. Sisters Esther Lee, on piano, and Joanna Lee, on violin, perform at 12:15 p.m. in the First Lutheran Church of Torrance, 2900 W. Carson St., Torrance. Free; donations appreciated. Reception follows. Call (310) 316-5574. “Forgetting the Future: Entropy in the Reflective Age” opens Saturday with a reception from 6 to 9 p.m. at the Torrance Art Museum. Through July 25. 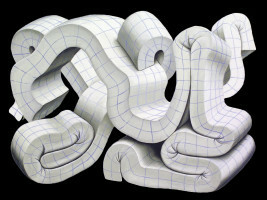 Pictured, “Empty Space is Not Nothing 1,” by Brian Cooper. More at torranceartmuseum.com. 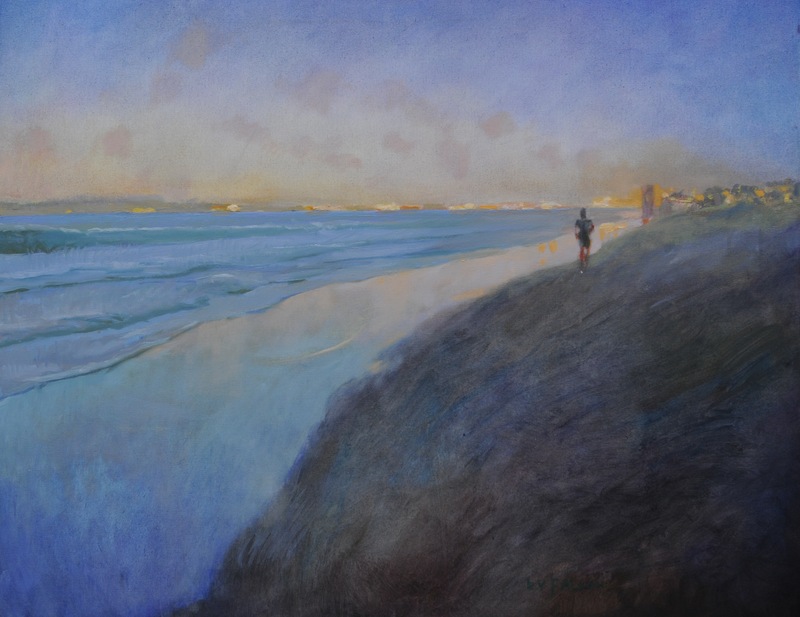 “On the Beach,” featuring work by members of the Redondo Beach Art Group, has a reception Saturday from 6 to 9 p.m. at the Frame & Art Department Gallery, 950 Aviation Blvd., Hermosa. “It’s a Gift,” considered one of the funniest films ever made with W.C. Fields, screens at 8:15 on Friday and Saturday, plus 2:30 p.m. on Saturday and Sunday, in the Old Town Music Hall, 140 Richmond St., El Segundo. Tickets, $10 general; $8 seniors. More at OldTownMusicHall.org. “Forgetting the Future: Entropy in the Reflective Age” opens with a reception from 6 to 9 p.m. in the Torrance Art Museum, 3320 Civic Center Drive, Torrance. Curated by Lisa DeSmidt, the group exhibition looks at new ideas of entropy (steady deterioration) in a technology-driven age, and how do artists deal with it? In Gallery Two, large-scale figurative paintings by Mimmo Catania. Through July 25. Free. Go to torranceartmuseum.com. “Coppélia, a Storybook Ballet” is being presented by the South Bay Ballet on Saturday at 2 and 6 p.m. and also on Sunday at 2 p.m., in the James Armstrong Theatre, 3330 Civic Center Drive, Torrance. Tickets, $22. Call (310) 781-7171 or go to southbayballet.org. “Ladies Pint Out” takes place between 4 and 8 p.m. at the King Harbor Brewing Company, 2907 182nd St., Redondo Beach, and the evening includes manis and pedis from the Nail Truck, shopping from the Birdie Fashion Truck, as well as $5 flights of beer. “On the Beach,” a themed group art show featuring the work of 16 artists affiliated with the Redondo Beach Art Group, has a reception Saturday from 6 to 9 p.m. at the Frame & Art Department Gallery, 950 Aviation Blvd., Hermosa Beach. Artists include James Blake, Debra Collett, Sandra Chu, Gina Clancy, Linda Detweiler, Bridget Duffy, Bernard Fallon, Debra Flores. Astrid Francis, Patty Grau, Anita Kroeger, Susan Lilly, Patti Linnett, Erika Robinson, Rosine Sorbom and Sue Wood. Through June 28. Call Lord Fallon at (310) 920-2184 or go to frameandartdept.com. The Palos Verdes Art Center is hosting a private Beverly Hills tour of homes designed by “Hollywood Regency” master John Elgin Woolf. Tour (12 noon to 4 p.m.) begins and ends at the Beverly Hills City Hall. $100 includes transportation and lunch. 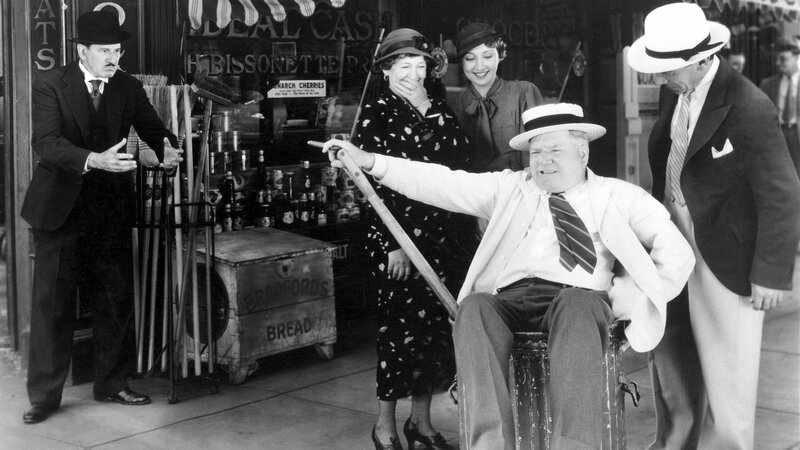 Meanwhile, “John Elgin: Master of Hollywood Regency” is on view at PVAC through July 29. Contact (310) 541-2479. 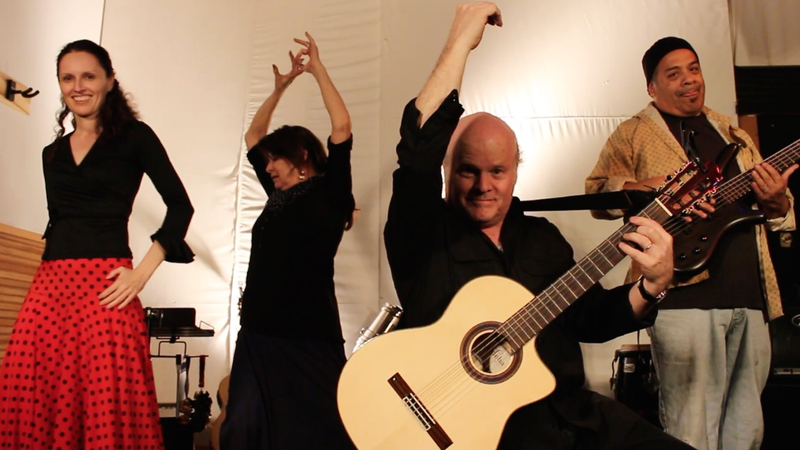 Guitarist Karl Grossman and Camino Rio perform their spicy jazz-rhumba stylings on Sunday at 11 a.m. at the Palos Verdes Street Fair & Music Festival. The two-day event (also on Saturday) is located at 501 Deep Valley Drive, Rolling Hills Estates. Information at pvstreetfair.com. LA Philharmonic cellist Robert deMaine performs Sunday at 2 p.m. in the Rolling Hills Methodist Church. Call (310) 316-5574. Long Beach Opera’s production of “Hydrogen Jukebox,” a collaboration between Philip Glass and Allen Ginsberg, takes place at 2:30 and 8 p.m. on Saturday and 7 p.m. on Sunday, at Crafted Warehouse, located in the Port of Los Angeles, 112 E. 22nd St., San Pedro. Pre-performance talks one hour before each show. Tickets,$29 to $160 ($15 for students with valid student ID). Quite an experience! Call (562) 432-5934 or go to longbeachopera.org. The Palos Verdes Street Fair & Music Festival takes place Saturday and Sunday at 501 Deep Valley Dr., Rolling Hills Estates. Live music both days. Free, but $30 buys you all the carnival attractions you can handle. Parking and free shuttle at 27118 Silver Spur Road. Schedules and more at pvstreetfair.com. “Destination: Art” is having a reception for a show by its associate artists from 2 to 5 p.m. at 1815 W. 213th St., Torrance. The work is up through June. Call (310) 742-3192 or go to destination-art.net. “Triptychon” (1973) is among the work by the late German painter Norbert Tadeusz, whose work is on view from Sunday through Sept. 27 at ESMoA in El Segundo. (424) 277-1020 or go to ESMoA.org. 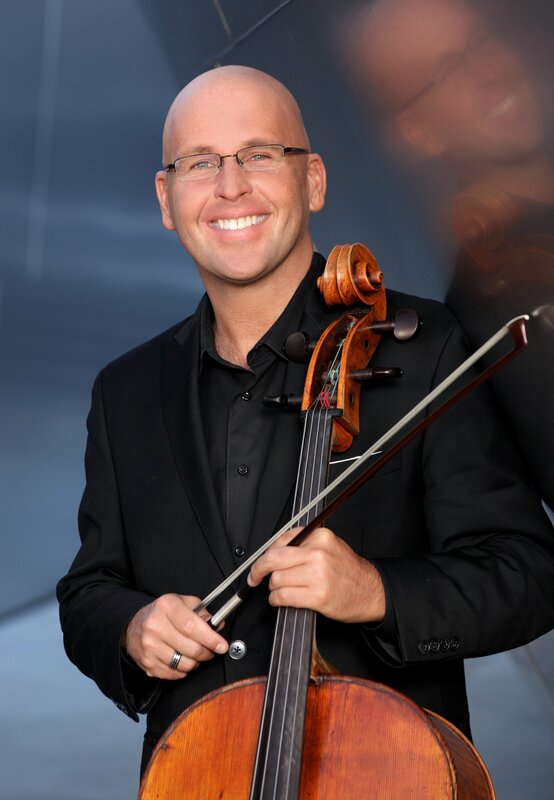 Cellist Robert deMaine of the Los Angeles Philharmonic performs the music of Paul Hindemith, Gaspar Cassadó, as well as selections from his own “Six Etudes-caprices,” at 2 p.m. in the Rolling Hills United Methodist Church, 26438 Crenshaw Blvd., Rolling Hills Estates. Free; donations appreciated. Call (310) 316-5574. “Studio” features the work of German artist Norbert Tadeusz (1940-2011), opening Sunday with a talk at 2 p.m. at ESMoA, 208 Main St., El Segundo. The show, which is up through Sept. 27, is curated by LACMA’s Nana Bahlmann. Call (424) 277-1020 or go to ESMoA.org.